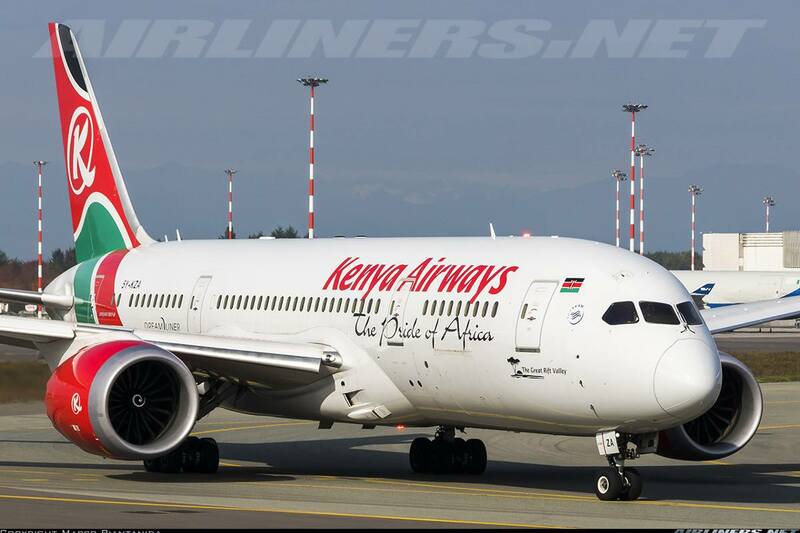 Welcome to my trip report on Kenya Airways Boeing 787 Dreamliner return flight. You can check out my first part over here. The reason why I chose to fly both ways on Kenya Airways on BKK-HKG route was to play safe just in case the flight from BKK-HKG was changed to a Boeing 767 or Boeing 777. Since I had successfully completed my first leg, the return leg I hope to fly on a different 787 - the airline had 4 in service during that time. This trip report won't be as long as the first and you can check out part 1 for more details. My route for the evening! Since the flight was at 9.50pm, I had the day to explore the city a bit in the morning. Once that was done, I took the bus A11 to the airport. Weather wasn't very good. A friend of mine who is a CX pilot lamented that he had the worst landing in HKG the day before due to very windy condition so I was hoping the weather won't be that bad for my departure. Along the way to the airport, I did some checking on what aircraft I would be flying on and to be my joy, I was flying on a different 787. It was 5Y-KZA, the first in the fleet that would take me to Bangkok. Thanks to flightradar24 for the info. Once at the airport, I went to the counter which was closed, so I waited about half an hour behind a queue of mainly Hong Kong passengers and some ugly behaviour from one of them who were travelling in a large group - leaving their luggages everywhere which resulted in blocking our way. Hong Kong has so many flights especially at night. Among all the airports, Hong Kong and Seoul Incheon are my favourites. Check-in was done efficiently and I made my way straight to the air-side. As I was hungry, I wanted to grab some spaghetti at an Italian restaurant, but they didn't welcome me as they preferred 2 or more customers (Won't go back there anymore), so I went for Sushi at the food court near to Gate 30-60 that side. Arashi beer in this Heineken glass. Chawamushi - always a big fan of this but this one was simply awful. Miso soup - Not too bad. Chirashi Don - my favourite Japanese meal - it was pretty decent. Total damage = HK$320 = S$52 and that is expensive. Not recommended for such quality. The gate was not too far away. Here comes the beautiful dreamliner from Bangkok. Better photos of this beauty with credits to the photographers. Once on board, the seats were filled up quickly and this time I wasn't so lucky, I had 2 seat mates beside me. It didn't feel that cramp even though it was a 3-3-3 seating configuration but still I would definitely pick the aisle seat if flying on flights for more than 3 hours. The Captain announced a delay due to weather issue and we only departed an hour after boarding the aircraft. However just before my flight, I saw a Thai's Boeing 747-400 departed for the same destination, so that left me a quite puzzled. Somehow I felt it could be a technical problem otherwise why would they ask us to board the aircraft and made us wait for an hour but then I may be wrong. During the delay, no drink was served and the crew pulled out the curtain of the divider between the Economy and Business class and that I knew we would be sitting there for quite some time. While waiting, I decided to catch a movie. An hour later, the captain announced that we were departing and the crew prepared for departure and not long after, we were on our way. 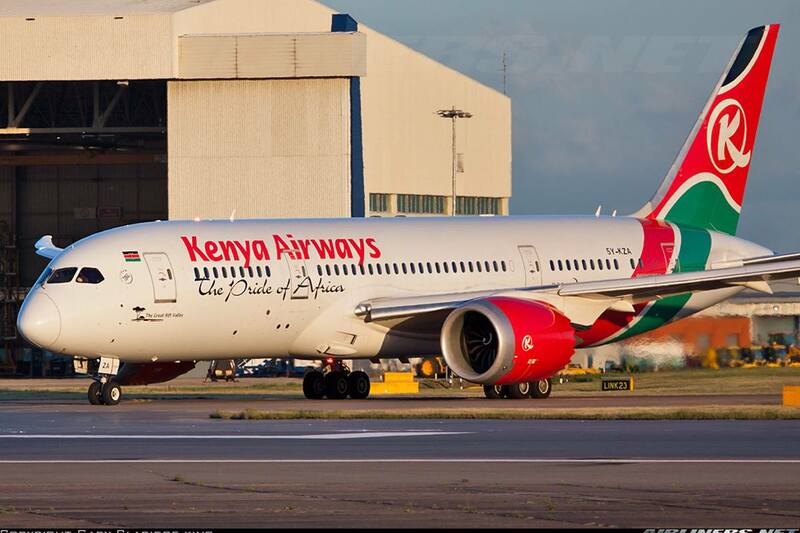 Some cabin shots of the KQ's 787 taken during the flight. My seat, which was not windowless. I can imagine some passengers choosing a window seat, only to find out its windowless and that can be frustrating. While we were waiting for departure, the mood lighting was activated and we got to enjoy some colourful display! Do you like it? I think its pretty cool, make it even more comfortable for the already cosy feeling this interior offers. Boeing certainly offers the best cabin so far. A few ugly passengers were told to seat down numerous number of times while the aircraft was taxiing. No prize for guessing where were they from, folks like them should just stay at their homeland if they cannot behave themselves. This set of crew had a hard time handling these country bumpkins. A couple of problems about this flight: The ugly behaviour of some passengers and the announcement system was pretty soft - could hardly hear what the crew were saying. The cabin crew were Thai but there were some that spoke Mandarin so communicating with the locals and PRCs were no problem. They were not exactly friendly but were professional through out and I thought they did well in handling those bumpkins. In-flight meal: A choice of chicken or fish. I chose the Chicken and it was pretty good. The mushroom appetiser and dessert was pretty decent too, this was certainly one of the better in-flight meals. Later on during the flight, there was an incident which I had no idea. Almost there! Around this time, there were a couple of passengers stood up while the plane was about 1500 feet, on final approach to Bangkok. The cabin crew kept telling them to sit down and only one remain and started yelling at the crew who came forward to tell him to sit down immediately. Astonishingly, no one around him asked him to shut up. Eventually, he sat down and after 20 seconds later, the plane touched down, that was how close it was. The crew should have reported this incident to the Captain and get this moron arrested. Once the aircraft reached the gate, some of the country bumpkins rushed to get their bags without considering the others. Horrible travellers, I hope I won't bump into any of them again. Later on, I found out from one of the crew that most of them were transferred from another airline due to cancellation of the flight, which airline? No idea. Tough luck for the rest of us. One quick shot before I left the aircraft. Passengers that were heading to Nairobi had to stay on board while the cleaners and then later on a change of crew and more passengers joined them to their final destination, Nairobi. Kenya Airways has definitely improved its in-flight products on its J and Y class comparing to the old Boeing 767 and Boeing 777 in its long-haul fleet. Although the new products are not the best in the market, they have common products among the 787 operators such as Royal Brunei and Air India. The crew for the Bangkok-Hong Kong and Bangkok-Guangzhou sectors are Asian based (Mostly Thai), you won't get to experience the true African service unless you fly to Nairobi which I hope to do that in the near future. Its fiercest rival, Ethiopian Airlines on the other hand has its own native crew doing these 5th freedom routes. After flying with this airline 3 times, I certainly recommend the airline to anyone, its a safe airline from the Skyteam alliance. Ugly passengers should be put away to a cell or something, they are annoying and a danger to other passengers, period. That fellow who was shouting away before the aircraft touched down should thank his lucky stars he wasn't on an American airline, otherwise the outcome would have been very different for him. Thank you for reading my trip report! Hope you have enjoyed it. Do check out my part 1.